The first thing that we should watch out on all packaged food is FAT. Don’t be mistaken. Fat is NOT necessarily bad. Our body needs fat. Fat is our body’s energy store, it also acts as a cushion for vital organs, and it helps to transport fat-soluble vitamins. However, these days, over consumption of fat have become the norm in our society. Obesity, high cholesterol, and heart diseases are all possible consequences of over consumption of fat. So how much fat do we really need? There are also studies that show 10%-15% of fat as dietary energy is what we need to keep healthy. Also, there are the “good” fats, and the “bad” fats. We need to look out for the bad fats which are trans fat and saturated fat, they will cause high cholesterol. Ideally the fats in the packaged food do not consist of these “bad” fats. Ok, now we have the guideline, let look at some food labels. Raffles Potato Chips – imported American Potato Chips, this was one of my favourite during my University days. Turn the package around and we can see that the Calories per Serving of 28g (about 11 chips) are 160. Calories from Fat are 90. So, how many percent of energy is from fat? 56.25%!!! I don’t have to read any further. This item will definitely not going into my shopping basket. Not all food labels give you the Calories from Fat breakdown, so you have to do a little bit of math. Let’s take a look at this product – another of my childhood favourites. 6.3g x 9kcal/g = 56.7 kcal. 56.7 kcal / 108 kcal = 52.5%!! 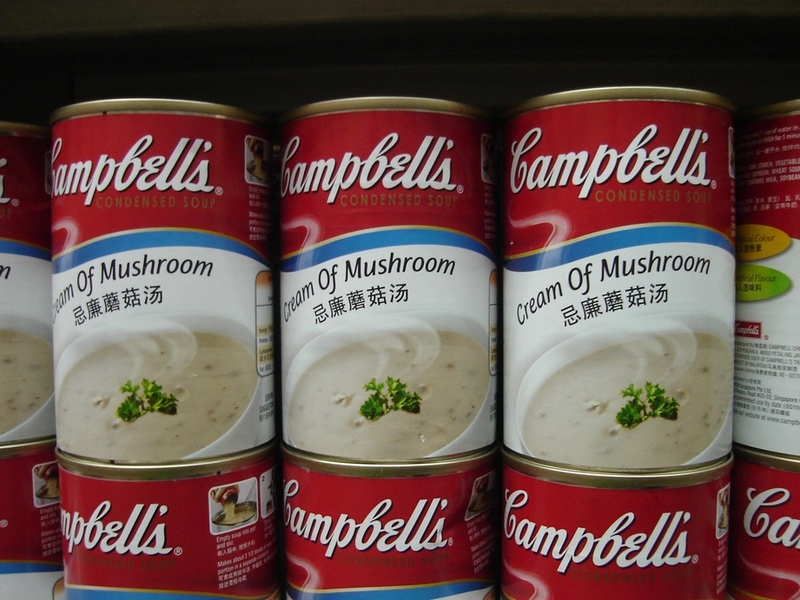 Does it matter that we have to dilute this concentrated soup before serving? No. Since water does not produce energy. If we simply add water to it, the total energy remains the same and you still consume more that half of the energy from fat. Now let’s take a look at something Low Fat. It says 99% Fat Free and it has a “Healthier Choice” symbol issued by our friendly HPB. On top of the symbol says Lower in Saturated Fat. BUT, what is Rule #1? NEVER, EVER believe anything on the front of any product… EVER! So, let us read the label. 1 serving (1 glass) of this brand of milk will give you 110 kcal. The fat content per serving is 2.5g. That gives 22.5 kcal. So, 20.45% of the energy still comes from fat. Ok. It passes my guideline of not more than 25% energy from fat. However, is it truly 99% fat free as claimed by the manufacturer? 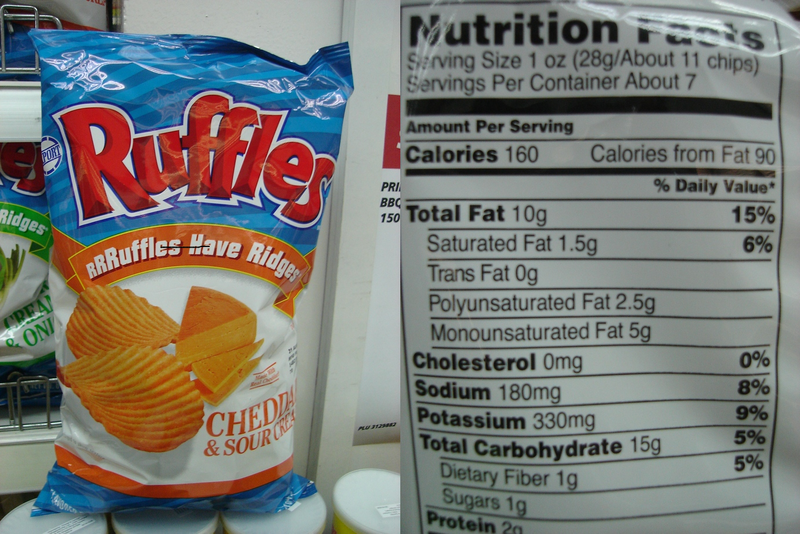 In addition, take a look at the amount of Saturated Fat and Trans Fat. They added up to be 1.43g out of the 2.5g of fat per serving, i.e. 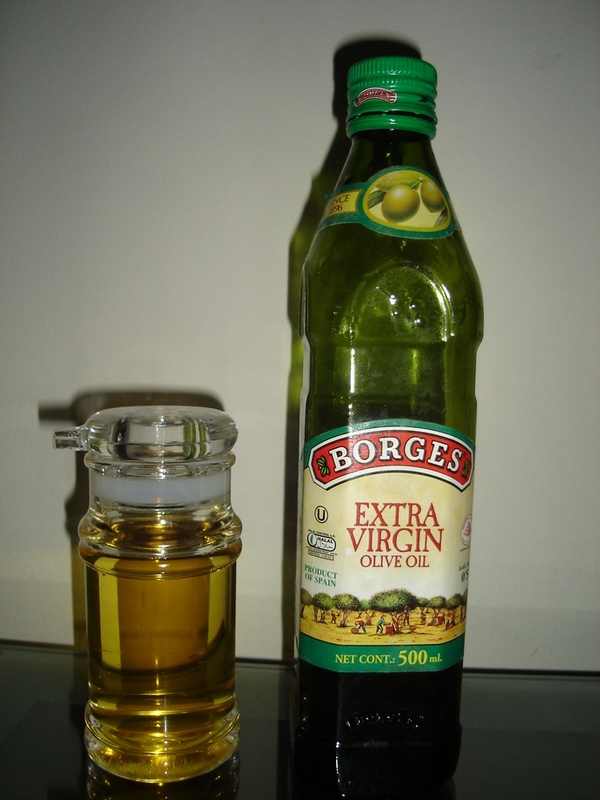 57.2% of fat in this product actually comes from the “bad” fat. You get my points. There are two types of units of energy, Calories (kcal) and the metric measurement of Kilojoules (kj). 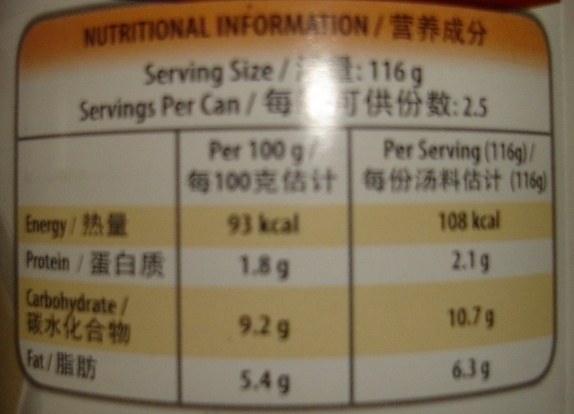 In Singapore, you can find both types of units on food labels. 1 kcal is equal 4.2 kj. So 1 gram of fat will give you 37.8 kj of energy. It is harder to calculate the percentage of energy from fat if the information is presented in kj, especially when you are in supermarket shopping without a calculator. Therefore, for simplicity, I normally multiply the gram of fat by 40 to get an estimate of the kj of energy from fat. 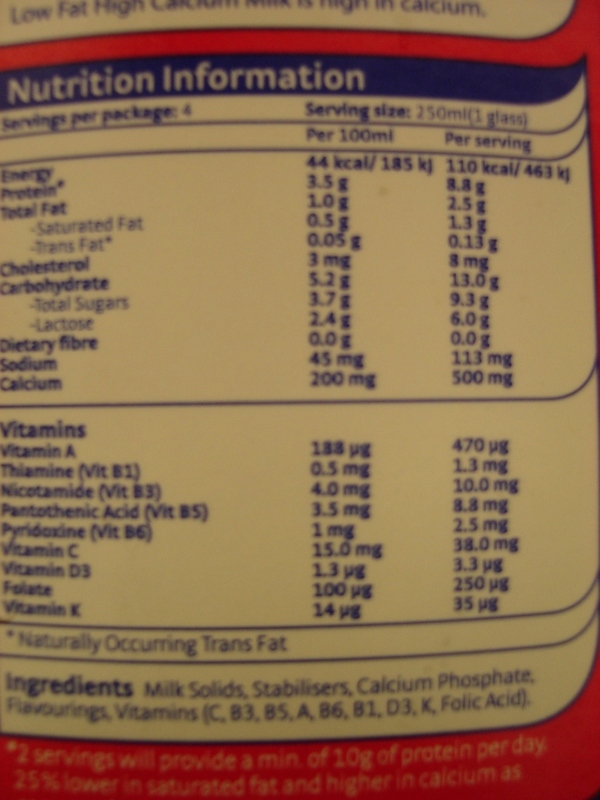 For example, using the same product, 2.5 g x 40 = 100, compare to 463kj per serving. Without a calculator, I can roughly gauge that this product has roughly 21% of energy from fat. Close enough. Stay tune for my next post: “Step 2 – Check the Sodium Content”.